Sometimes you need to rename a cruise ship, especially when it is going to be completely transformed. This seems to be the case when it comes to the Carnival Triumph refurbishment, a renovation that will take place in the spring of 2019. If you wish to take a cruise on this vessel after that time, you will need to book your reservation on the Carnival Sunrise. Needless to say, this type of transformation is something that most cruise guests enjoy looking forward to. The newly transformed vessel will join Carnival Cruise Line’s Sunshine Class after a two-month remodeling that will take place in Cadiz, Spain. The Carnival Triumph refurbishment will begin on March 1, 2019. Staterooms and various entertainment venues will be completely revamped for added cruising pleasure. 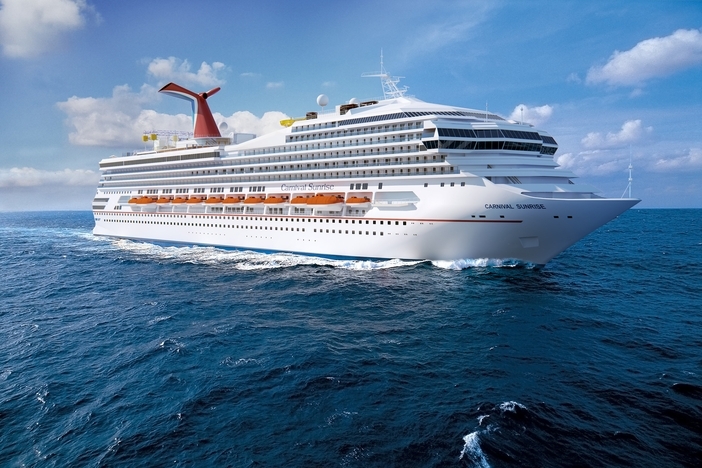 After the renaming ceremony, the Carnival Sunshine will embark on five- and seven-day journeys from a port in Norfolk, Virginia, which will begin on April 29, 2019. Another schedule will commence on May 23, 2019 that will feature four- to 14-day excursions from New York. After these itineraries, the Carnival Triumph refurbishment ship will sail regularly from Fort Lauderdale in October. Enhancements on the refurbished cruise ship will include the redesign of two VIP suites that sit next to the navigational bridge as well as the extension of balcony suites. All the state rooms will be updated to show off island-themed hues and comforting Caribbean-inspired pastels. The onboard improvements are meant to support Carnival’s goals of providing the best in luxurious accommodations and entertainment to its cruise passengers. During the Sunrise’s inaugural season, the ship will begin a seven-day cruise journey to Grand Turk and the private island of Half Moon Cay. Both Freeport and Nassau are destinations on itineraries that depart May 12 and May 17 in 2019. If you are seeking a Caribbean adventure in 2019, you will not want to miss the opportunity to take this cruise journey. Book a cruise and put some sunshine into your holiday.